Shot in the head and killed with his own gun, the murder of Baltimore detective Sean Suiter remains unsolved. 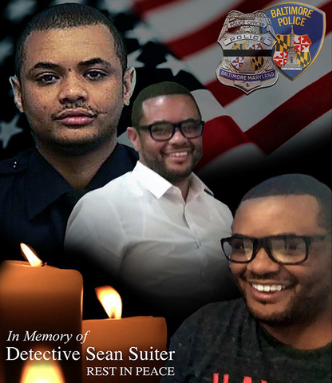 Following the death of Detective Sean Suiter on November 17, 2017, there has been speculation into his involvement in the case regarding a corruption probe involving the alleged planting of drugs by a group of officers in the Baltimore Police Department. Suiter, at the time of the alleged criminal acts, was only a police officer and a passenger in the car of one of the accused. According to NBC News, Suiter was set to testify on November 16, 2017 before a federal grand jury, but was fatally shot the day before. Since then, many people have openly expressed their distrust in the Baltimore Police Department, while others have been quick to point out seemingly obvious connections between Suiter’s death and his willingness to testify in the corruption case. As a means to bring clarity to the conspiracy theories revolving around Detective Suiter’s death, Baltimore Police Commissioner, Kevin Davis, wrote to FBI Director Christopher Way to ask for the agency’s support i the investigation of the case. FBI Assistant Director Stephen E. Richardson, replied to Davis’ letter rejecting the “calls to take over investigation”, according to the Baltimore Sun. The agency’s reasons were rooted in the belief that there was no sufficient evidence which directly linked detective Suiter’s death to his upcoming testimony. The case seems to be riddled with doubts; among the contending theories within the department: suicide has still not been ruled out as a potential cause of death. Meanwhile, others insist that it is a homicide case and continue to actively look for the perpetrator. It seems no clues have pointed to any one suspect. Detective Sean Suiter left behind his wife, Nicole Suiter, and his five children. If the case is ruled as a suicide, certain benefits given to the families of fallen officers can be reduced or can become entirely unavailable. The ultimate ruling in this case may continue to add to the life-changing events facing the Suiter family; it is of extreme importance that this case continues to be investigated until it is solved. It is safe to say that all agree that the memory of detective Suiter deserves justice and that his family deserves closure, but neither of these can be achieved without active investigation of the police force, nor with- out the cooperation of our civilians.